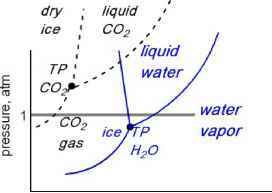 The most familiar graphical representation of the phase relationships of a pure substances is the p-T diagram, as illustrated for water and carbon dioxide in Fig. 5.4. Fig. 5.4 p-T phase diagrams for water and carbon dioxide p-T diagrams are comprised of three lines that intersect at the triple point. 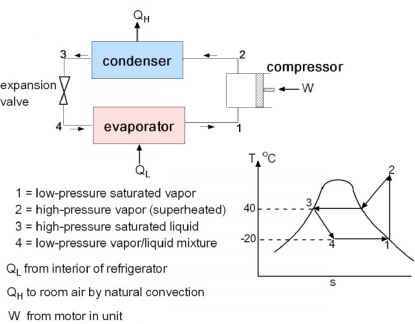 In the areas representing the solid, liquid and vapor phases, a single phase is stable over a range of temperature and pressure. The line separating the liquid and vapor regions is the vapor pressure equation given by Eq (5.9). A curve of the same mathematical form but with different coefficients (A and B) separates the solid and vapor zones; this is the sublimation pressure curve of the substance. If the triple point pressure is less than 1 atm, as is the case for water, the horizontal trace on the diagram at 1 atm passes through all three phases. If the triple-point pressure for the substance is above 1 atm, the liquid phase does not appear along a horizontal line at 1 atm. The reason that carbon dioxide is called "dry ice" is because it sublimes rather than melts at atmospheric pressure. The triple point pressure of CO2 is 5.2 atm. Liquid CO2 exists only at pressures exceeding this value. The two straight lines emanating from the triple points separate co-existing solid and liquid phases. The line for CO2 has a positive slope, which is found for most substances. The melting line for water is unusual in that it has a negative slope. The explanation for this behavior is given below. In p-T diagrams, there is an important distinction between the solid/vapor and liquid/vapor curves and the solid/liquid line. The meaning of the ordinate "pressure" for the first two is "saturation pressure", psat, whereas for the latter, "pressure" means "total pressure", p. The first is a property of the substance but the latter is an imposed condition. 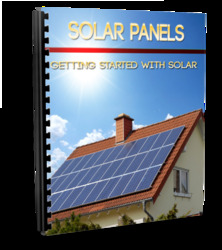 Problems 5.2, 5.7, and 5.23 explore other aspects of the triple point. Is one component phase diagram graphical?